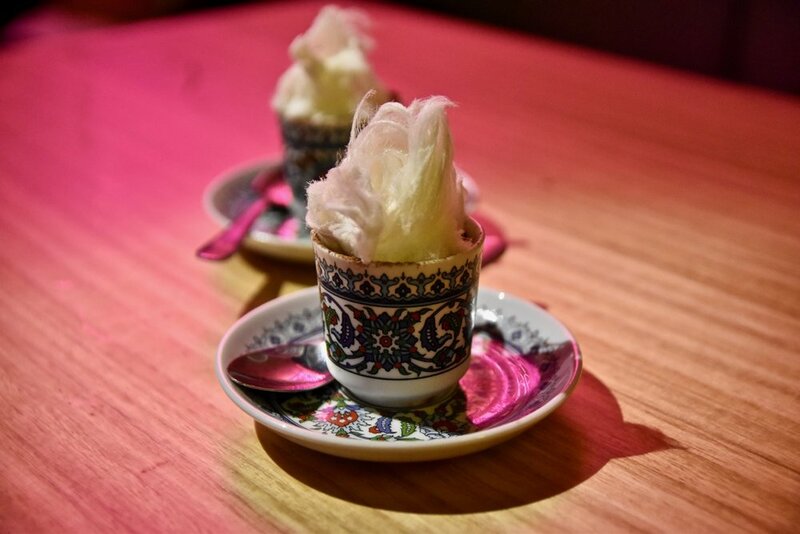 Under the guidance of owners Ergun Elmas (Arabesque) and Vlad Kovacevic's, Souk seeks to impress with the flavours of Arabia, North Africa and Anatolia. 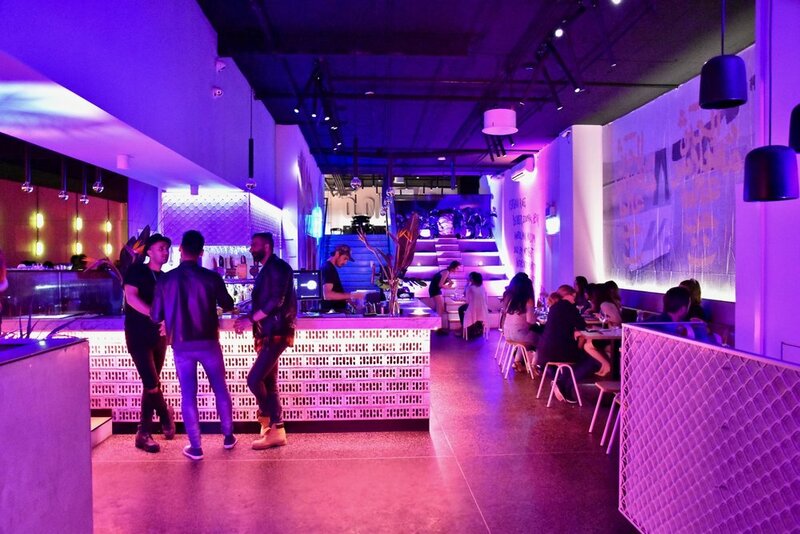 Souk’s floor-plan is separated into two main areas, featuring a bar and small tables downstairs and a larger dining space upstairs. The interior is a collaborative project by artist Tom Adair, interior consultant Robyn Levin and Melbourne-based design studio Mildred & Duck. 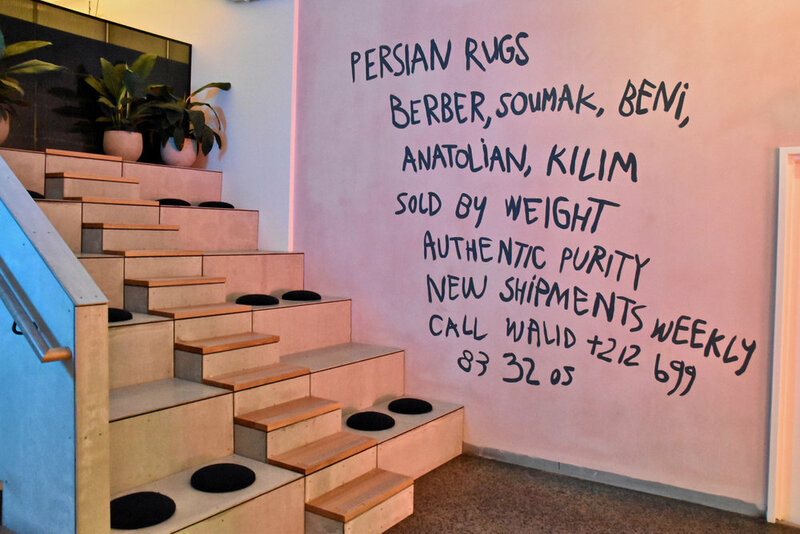 As you enter the building playful neon signage reading ‘magic flying carpet’ and ‘rugs, rugs, rugs’ are splashed against the walls with warm pink and beige hues, giving the large space a cosy feel. The sophisticated yet playful design is inspired by daily life in the Middle East, the cultural habits, mystical stories and the innate attitude of the Middle Eastern people. 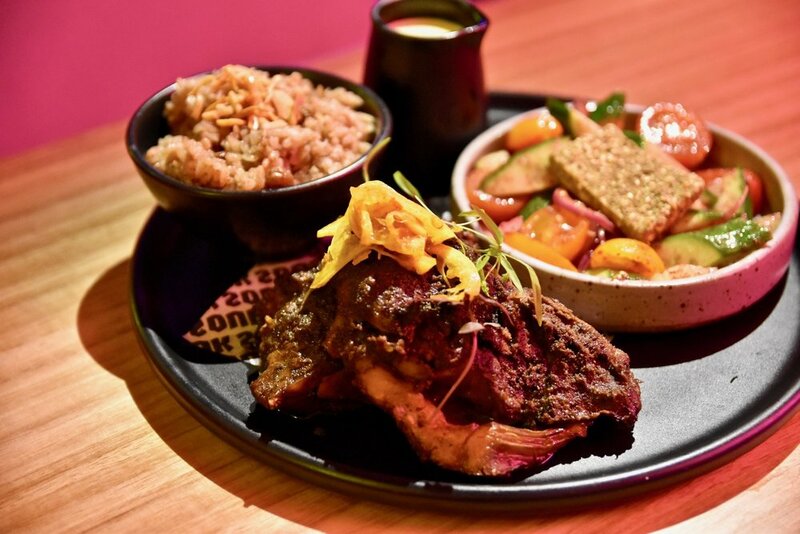 Staying true to Middle Eastern style of dining, Souk’s menu is designed to share with a selection of small and medium plates designed by head chef Chris Toal, whose career in hospitality spans a lifetime. 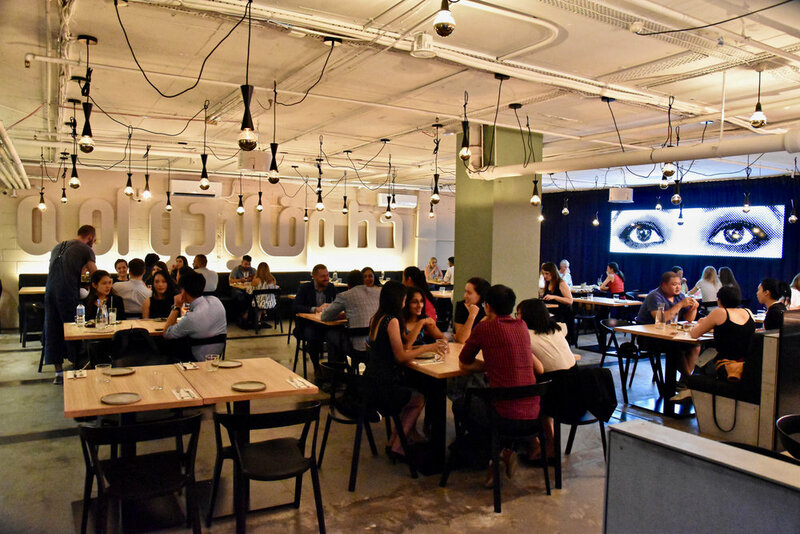 The menu is a contemporary take on many Middle Eastern home-style dishes. 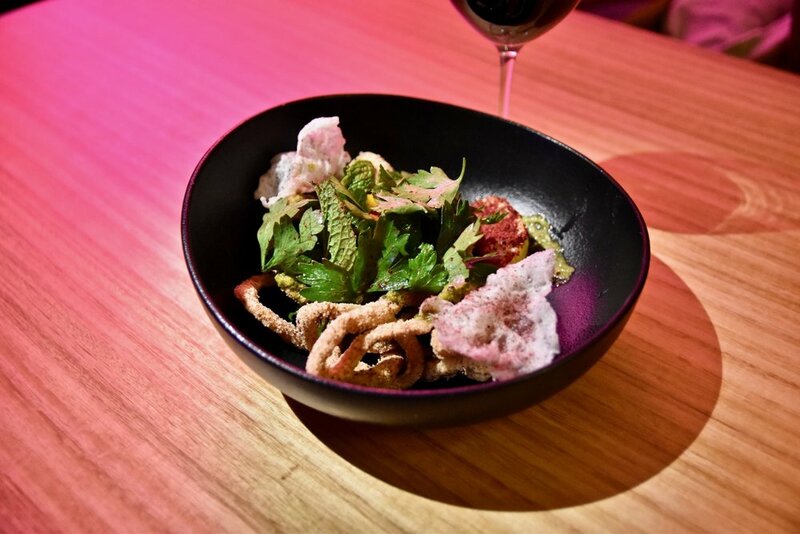 To start we recommend the delectable Sumac Calamari which features crispy calamari with a zesty zhoug dressing topped with a pomegranate and shallot salad. The KFC (Kuwaiti Fried Chicken) stole our hearts. 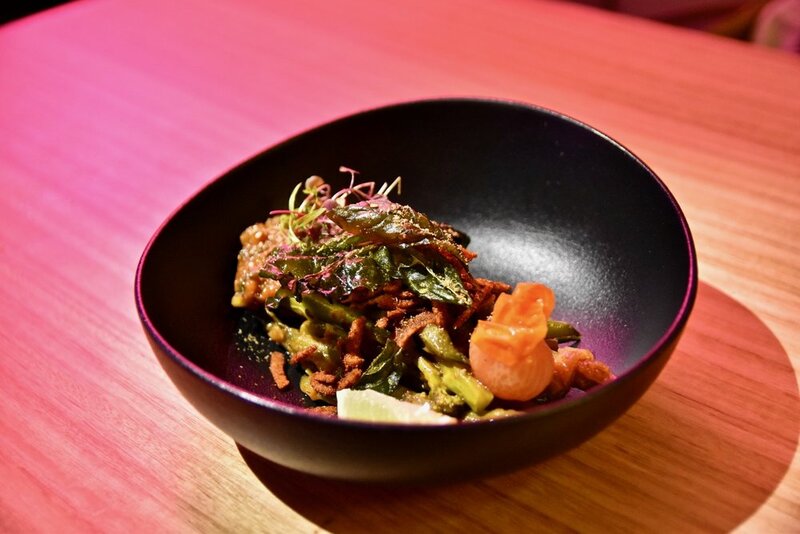 An absolute showstopper, each meaty morsel was crusted with a flavoursome spice mix and then perfectly fried to achieve a moreish crunchy exterior. And then there is the Manti which is sheer comfort food. 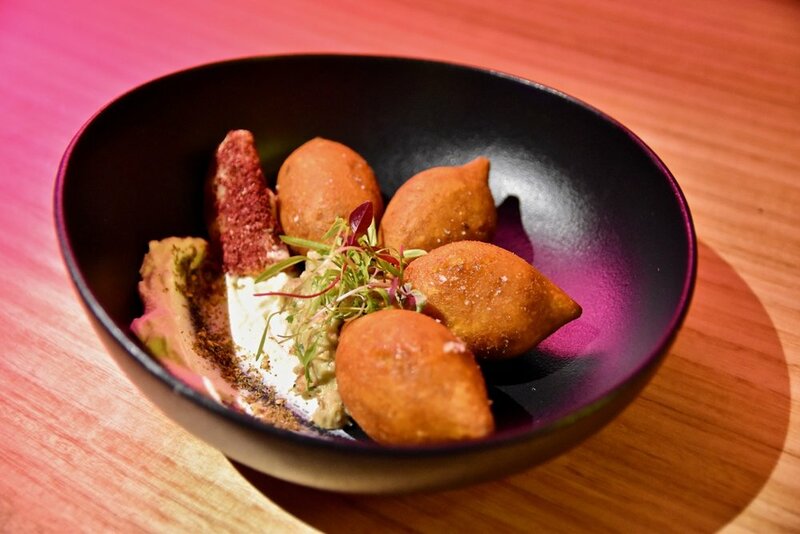 Tiny Turkish beef dumplings are served in a creamy sea of garlic yoghurt, paprika butter and dried mint, topped with sumac dusted tortilla chips. For something heartier to share, we recommend the Lamb Shwarma served with angel hair rice, pickled lemons, saffron yoghurt and a fresh garden salad topped with za'atar cheese. This is one gratifying dish that is perfect for meat lovers. Pleasing to both the eyes and palate, the Whipped Turkish coffee and Nutella ganache was a wonderfully sweet end to our visit. A lovely little dessert which was seductively easy to eat. An exemplary display of Souk's versatility.